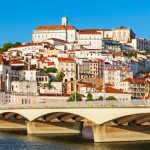 Human beings have lived in Portugal since about 30,000 BC when the world was in the grip of an ice age. The first Portuguese were hunters and fishermen. They also gathered plants for food. They wore leather clothes and they made stone tools. In about 5,000 BC farming was introduced to Portugal. However the farmers continued to use stone tools. Bronze was introduced to Portugal about 2,000 BC. About 700 BC Celtic tribes entered Portugal from the north. They introduced iron to Portugal. Meanwhile by 800 BC the Phoenicians from what is now Lebanon had began trading with the Portuguese. (They wanted Portuguese tin for making bronze). 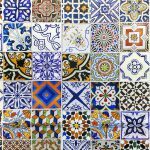 By about 600 BC the Greeks were also trading with Portugal. In 210 BC the Romans invaded the Iberian Peninsula. They soon conquered the south but the central part was a different matter. Here a Celtic tribe called the Lusitani lived. In 193 BC, led by their ruler Viriatus, they rebelled against Roman rule. They fought the Romans for decades and they were only defeated in 139 BC when Viriatus was captured. Afterwards resistance collapsed. However the Celtic tribe gave their name to the Roman province Lusitania. In time the south of the Iberian peninsula became fully integrated into the Roman world. Wheat, olives and wine from what is now Portugal were exported to Rome. However by the middle of the 3rd century AD the Roman Empire was in decline. In the 5th century Roman rule in Portugal collapsed. In 409 Germanic peoples invaded the Iberian peninsula. A race called the Suevi invaded Portugal. However in the 6th century another race called the Visigoths ruled Spain and they attacked the Suevi. By 585 the Visigoths had conquered the Suevi. The Germanic invaders became the new upper class. They were landowners and warriors who despised trade. Under their rule trade was dominated by the Jews. In 711 Moors from North Africa invaded the Iberian peninsula. They quickly conquered southern Portugal and they ruled it for centuries. However they were unable to permanently subdue northern Portugal. Under Moorish rule southern Portugal was prosperous and town life flourished. Meanwhile a little Visigothic statelet slowly grew to the north. 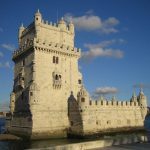 By the 11th century it was known as Portugal. The Counts of Portugal were vassals of the king of Leon but culturally the area was quite different from Leon. In 1095 the king of Leon granted Portugal to his daughter Dona Teresa and her husband. When her husband died Dona Teresa ruled as regent for her son. She married a Galician noble. However the Portuguese nobles were alarmed at the prospect of a union with Galicia. They rebelled and led by her son Dom Alfonso Henriques they defeated Teresa at the battle of Sao Mamede. Afterwards Alfonso Henriques became ruler of Portugal. Portugal gradually became independent of Leon. 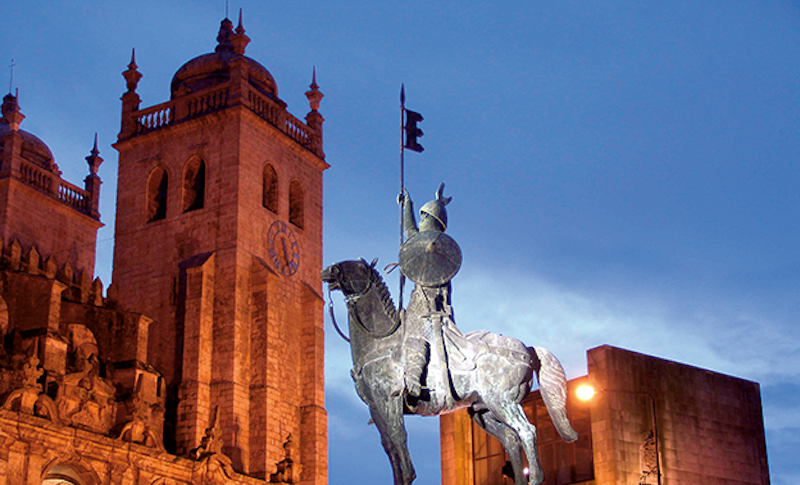 By 1140 Alfonso called himself king of Portugal and asserted his country’s independence. From 1179 Papal diplomats also called him king. Meanwhile Alfonso set about reconquering territory from the Moors. 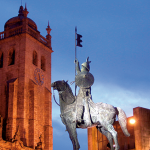 In 1139 Alfonso defeated the Moors at Ourique. In 1147 he captured Lisbon and moved the border to the River Tagus. Later he captured territory south of the Tagus. Meanwhile trade continued to thrive in Portugal. Jews continued to be important in the towns. The first parliament or Cortes met in 1211. At first only clergy and nobility were represented. However King Dinis (1279-1325) allowed the merchant class to send representatives – a sign of their growing importance. 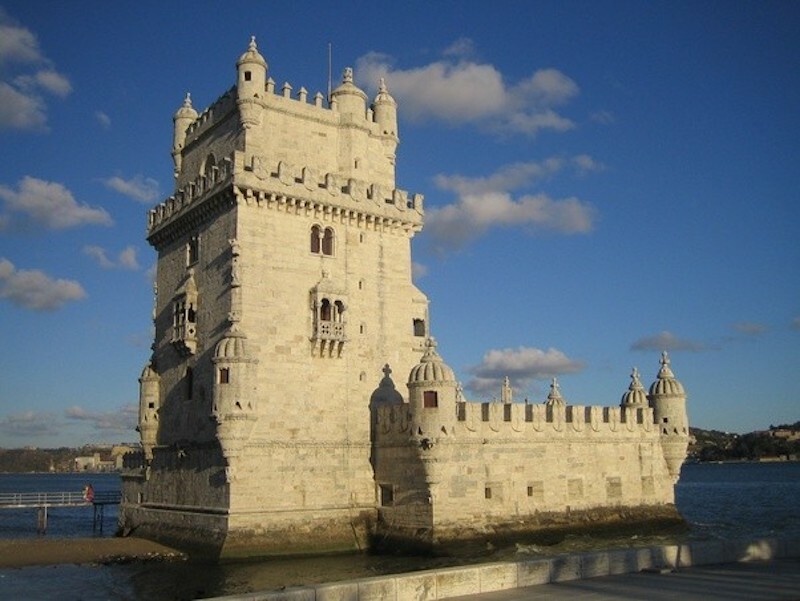 From the mid-13th century Lisbon became the capital of Portugal. 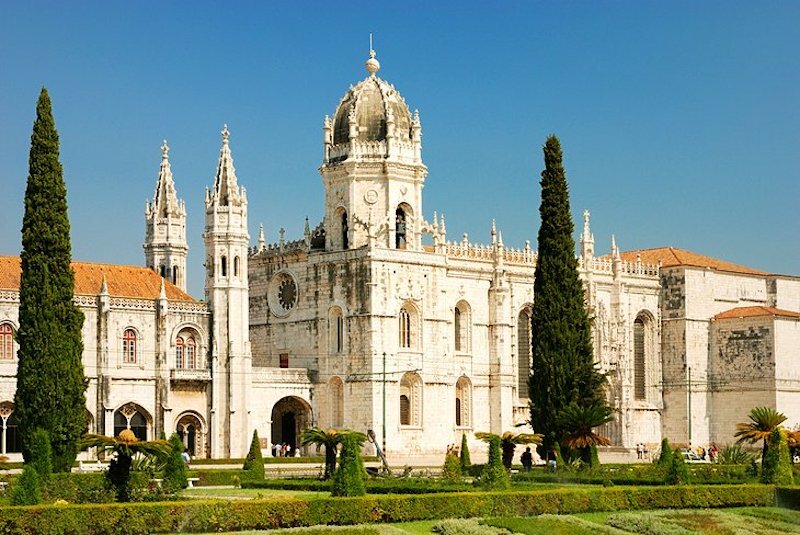 In 1290 Portugal’s first university was founded in Lisbon. (Although it soon moved to Coimbra). Also during the reign of Dinis pine forests were planted and marshland was drained for farming. Agriculture flourished. However in 1348-49, like the rest of Europe, Portugal was devastated by the Black Death which probably killed one third of the population. Then in the late 14th century Portugal was drawn into a war. When King Fernando (1367-1383) died his daughter Beatriz became queen. However she was married to Juan of Castile. 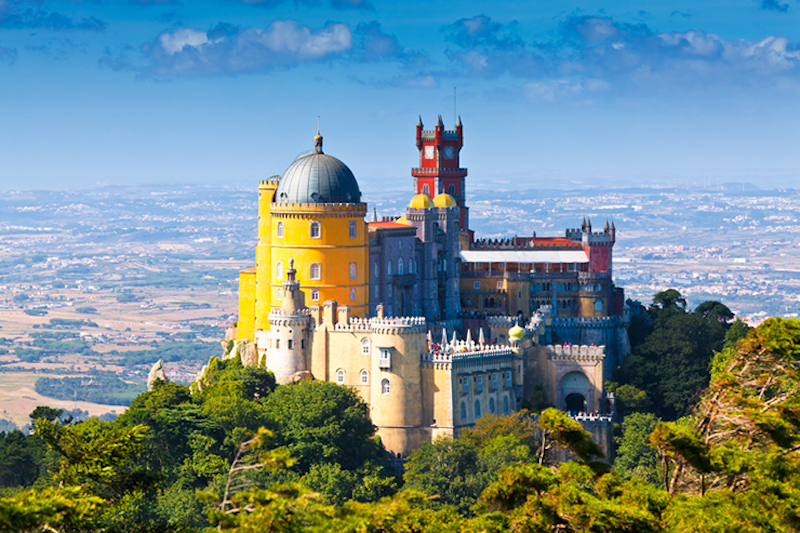 Some Portuguese feared that Portugal would become united with Castile and cease to be independent. They rose in rebellion. The king of Castile invaded Portugal to support his wife. The war went on for 2 years. Finally the Castilians were routed by a Portuguese army (supported by English archers) at the battle of Aljubarrota. Dom Joao then became king and Portugal remained independent. In 1386 Portugal made an alliance with England. Then in the 15th century Portugal became a great maritime nation. In 1415 the Portuguese captured Ceuta in Morocco. Madeira was discovered in 1419. The Azores followed in 1427. At that time Prince Henry the Navigator (1394-1460) made navigation into a fine art. he also provided ships and money to Portuguese captains. Portuguese mariners ventured further and further afield. By the time Prince Henry died the Portuguese had sailed as far as Sierra Leone. Then Tangiers was captured in 1471. Finally in 1488 Bartolomeu Dias rounded the Cape of Good Hope. In 1492 Columbus discovered the West Indies. Since the new lands were south of the Canaries the Portuguese king claimed they were his. However the argument with the Spanish was ended by the Treaty of Tordesillas in 1494. Portugal and Spain agreed that all new land west of a line 370 degrees west of the Cape Verde Islands would belong to Spain. Any land east of the line belonged to Portugal. Following the treaty in 1498 an expedition led by Vasco da Gama sailed around Africa and reached India. Asia was the source of spices, which were very expensive in Europe. Huge profits could be made by importing spices by sea. At first the Portuguese dominated the spice trade. In 1510 the Portuguese annexed Goa in India. In 1511 they took Malacca in Indonesia. In 1514 they reached China and in 1557 they established a trading post at Macao. The Portuguese also colonized Brazil. Meanwhile in 1536 The Inquisition was formed in Portugal. The first execution in Portugal took place in 1541. The last was in 1765. King Sebastiao (1557-1576) led an expedition to Morocco. It ended in complete disaster. Thousands of Portuguese were killed including the king and most of the nobility. Sebastiao was succeeded by Henrique, who died childless. Afterwards King Philip II of Spain claimed the throne of Portugal on the grounds that he was King Sebastiao’s nephew. The Spaniards won the battle of Alcantara and Philip II of Spain became Philip I of Portugal. From then until 1640 Spain and Portugal shared a monarch. However the union grew gradually less and less popular. In 1640 Portuguese nobles staged a coup in Lisbon. They deposed the governor of Portugal. The Duke of Braganza was made King Joao IV. Spain did not recognize Portuguese independence until 1668 when the treaty of Lisbon was signed. Meanwhile Portugal was declining in the 17th century. In 1600 the Portuguese dominated the spice trade with Asia. However in the 17th century they lost their position to the Dutch. In the late 17th century gold was discovered in Brazil. In 1730 diamonds were discovered there. Taxes on both helped the Portuguese treasury. Furthermore in 1717 the Portuguese won a naval victory over the Turks at Matapan. In 1703 Portugal signed the Methuen Treaty with England. This was a trade treaty which boosted exports of wine to England. In 1750 the Marques de Pombal became the king’s chief minister. In 1755 Lisbon was shattered by an earthquake. Tens of thousands of people were killed and whole areas of the city were destroyed. Pombal took the opportunity to rebuild Lisbon as a modern city. In 1758 an attempt was made to assassinate the king, Jose I. Pombal took this opportunity to execute several powerful nobles. 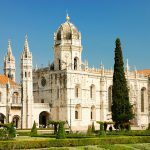 He also expelled the Jesuits from Portugal and confiscated their property. Pombal wanted to make Portugal an enlightened despotism. He carried out a number of legal reforms. He also reformed taxation and he promoted trade. Pombal also created many state funded schools. However when the king died in 1777 Pombal’s enemies took the opportunity to bring him to trial for the previous regime’s harsh measures. Pombal was found guilty but escaped punishment because of his age. In 1807 a French army invaded Portugal. The court fled to Brazil. However in 1808 a rebellion against the French began in Spain and Portugal. 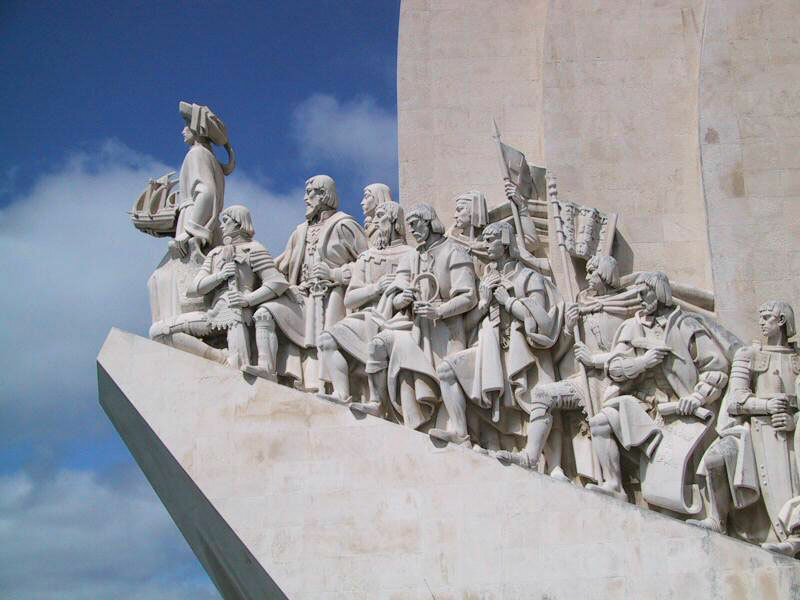 The British sent a force under Sir John Moore to Portugal. Moore was killed at the battle of Corunna in January 1809 but the French were unable to dislodge the British from Portugal. After 3 years of fighting the French were driven out of Portugal in 1811. In 1820 there was a revolution in Portugal. At that time the king was still in Brazil. In his absence a group of army officers seized power and a ‘constitutional Cortes’ was formed to draw up a new constitution. However the new constitution was not popular with everyone. Conservative landowners and the clergy strongly disliked the new liberal regime. In 1821 the Cortes asked King Joao VI to return from Brazil. He did so and he agreed to accept the new constitution but the queen refused. Meanwhile their son Pedro remained in Brazil. Under his leadership Brazil broke away from Portugal and became independent. King Joao VI died in 1826. The heir to the throne, Pedro, was emperor of an independent Brazil and he had no wish to rule Portugal as well. He abdicated the throne of Portugal in favor of his 7-year-old daughter Maria da Gloria. Since she was only a child her uncle Miguel would rule as regent. Pedro also drew up a ‘charter’ to replace the liberal constitution. The charter still limited the powers of the monarch but it was not as liberal as the old constitution. Miguel, the regent, at first agreed to accept the charter but he soon tore it up and made himself absolute ruler. In 1828, with the support of conservative forces in Portugal, he made himself king. However a rebellion against his absolute rule began in the Azores. Then in 1831 Pedro, the emperor of Brazil, fell from power. 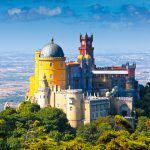 He fled to Europe and declared himself regent of Portugal instead of his brother Miguel. 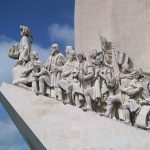 The rebels were prepared to support Pedro and in July 1832 a rebel army, with many British supporters, landed in Portugal to fight for him. Fighting lasted until 1834 when Pedro took the throne and Miguel went into exile. Afterwards Portugal was divided between those who wanted a traditional strong monarchy and those who wanted a liberal constitution. Nobody was able to find an agreement that satisfied both sides. In 1838, following demands from liberals, a new constitution was introduced. However the conservatives were strongly opposed to it and in 1846-47 civil war broke out between the two sides. It was only ended when foreign powers intervened. In the late 19th century some European countries were transformed by the industrial revolution. However Portugal remained a poor, agricultural country. Illiteracy was common. Meanwhile the popularity of the monarchy waned and republican feeling grew. A republican revolution occurred in 1891 but it was defeated. However in 1908 King Carlos was assassinated. Finally in 1910 a republican revolution took place, led by the army and navy. King Manuel II fled to Britain. Many poor Portuguese had high hopes for the revolution but afterwards they saw no improvement in their living standards. Soon many Portuguese became disillusioned. Finally in 1926 the army took power. In 1928 Antonio de Oliveira Salazar, a lecturer at Coimbra University, was made finance minister. In 1932 Salazar became prime minister. He drew up a new constitution, which was accepted in a referendum. Salazar became a virtual dictator. A secret police force, the PIDE (Policia Internacional e de Defensa do Estado) was formed. The press was censored and political parties were banned. Salazar spent money on public works such as roads, bridges and public buildings. Portuguese industry grew steadily and the urban population rose. However poverty remained widespread. Furthermore in the early 1960s guerrilla warfare began in Portugal’s African colonies. Fighting the rebels proved a great strain on Portugal’s resources. In 1968 Salazar was forced to resign through ill health. He was replaced by Marcelo Caetano. Meanwhile increasing discontent in the army led officers to form the Movimento das Forcas Armadas (MFA). On 25 April 1974 the army staged a coup. People wore red and white carnations to show their support for the revolution. So it became known as the Carnation Revolution. Democracy was restored in Portugal. In 1986 Portugal joined the EU. In 1999 Portugal joined the Euro. 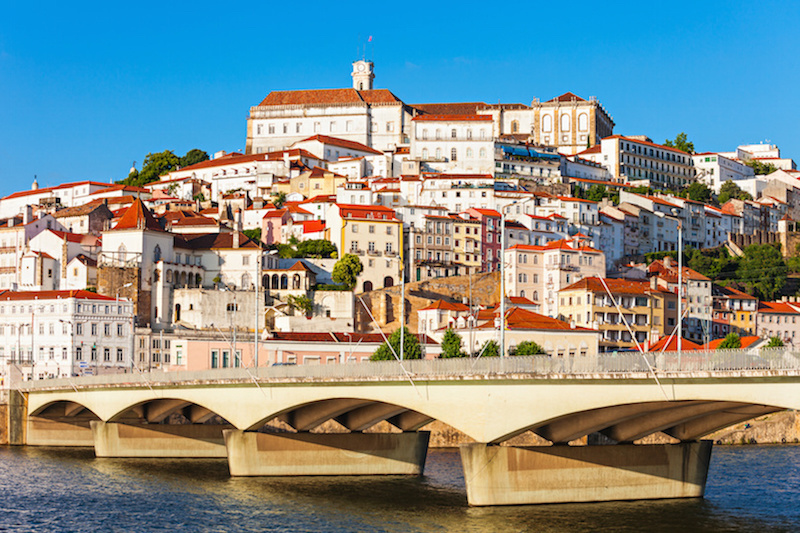 Today Portugal is known for olives, wheat, wine and cork. 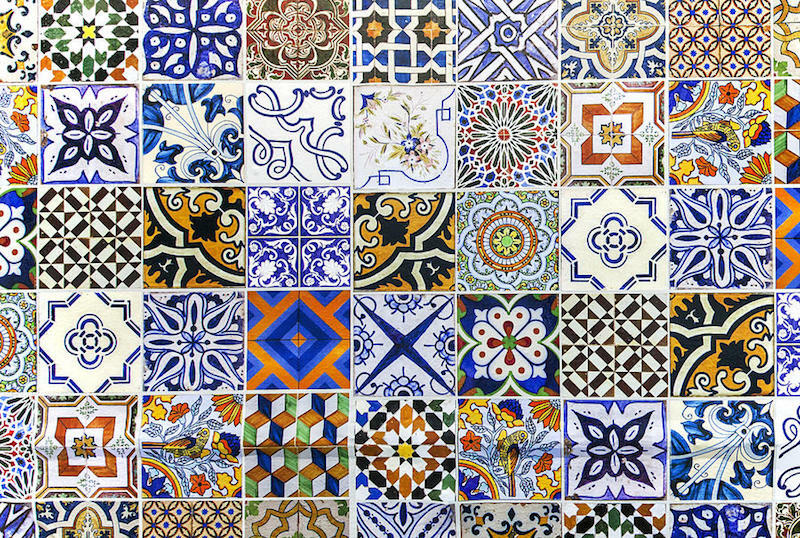 Tourism is also an important industry in Portugal. Like the rest of Europe Portugal suffered in the recession of 2009. 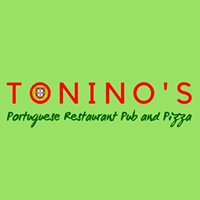 However Portugal eventually recovered and its economy began growing again. However Portugal suffered from high unemployment (it stood at 9.7% in 2017). Today the population of Portugal is 10.8 million.